Fiji’s weather service is warning that a cyclone is forming which will affect Fiji and Tonga over the next 24 hours. It says Tropical Depression 11F will be named as a Cyclone at about midnight local time. 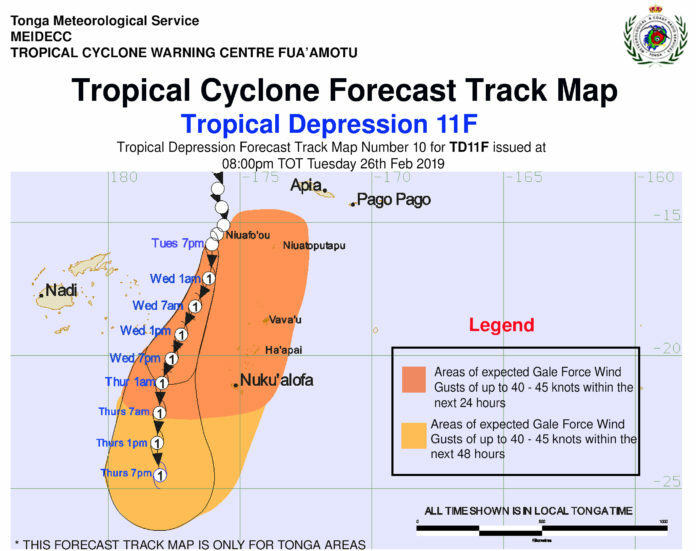 Forecaster Samisoni Waqavakatoga says at 3pm on Tuesday the depression was 65 kilometres north-west of Niuafo’ou in Tonga. 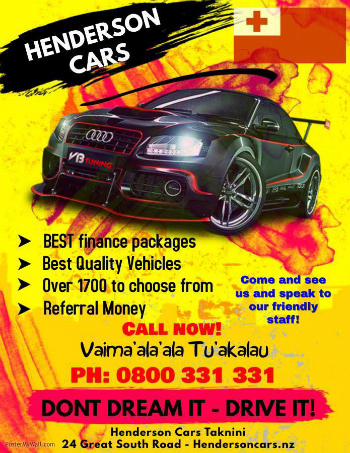 Mr Waqavakatoga says it’s travelling south-southwest at 14km/h. Between 6pm on Tuesday and 6am on Wednesday the system is predicted to track between Fiji’s Lau and Tonga’s Ha’apai groups. Mr Waqavakatoga says winds will be gusting to 90km/h at that point. He says the cyclone may intensify in the following 12 hours as it tracks between Ono-i-Lau in Fiji and Tonga’s main island Tongatapu.